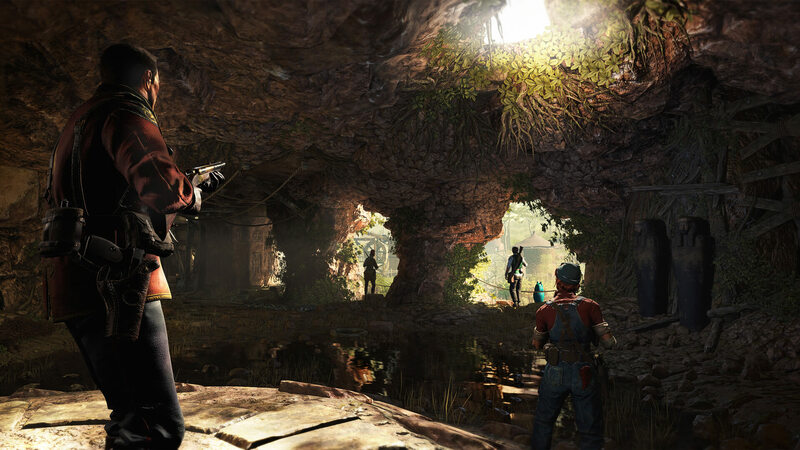 Strange Brigade is an action-adventure third-person shooter that borrows heavily from the likes of Uncharted, Tomb Raider, and classic movies such as Indiana Jones and The Mummy. The game was developed and published by Rebellion Development of Sniper Elite fame and is currently available on PS4, Xbox One, and PC. The merciless Witch Queen Seteki was defeated by the very people she ruled and then buried in an unmarked tomb to contain her evil. Four thousand years later in 1930 an archaeologist named Edgar Harbin stumbled upon Seteki’s crypt and unleashed her spirit and her reign of terror begins again. A group of British secret service agents known as the Strange Brigade is called in to smite out Seteki. Strange Brigade was created with co-op in mind but it’s entirely possible to enjoy the game on your own. There are four characters each with different combat styles and special powers to chose from as you take on Seteki and her minions. 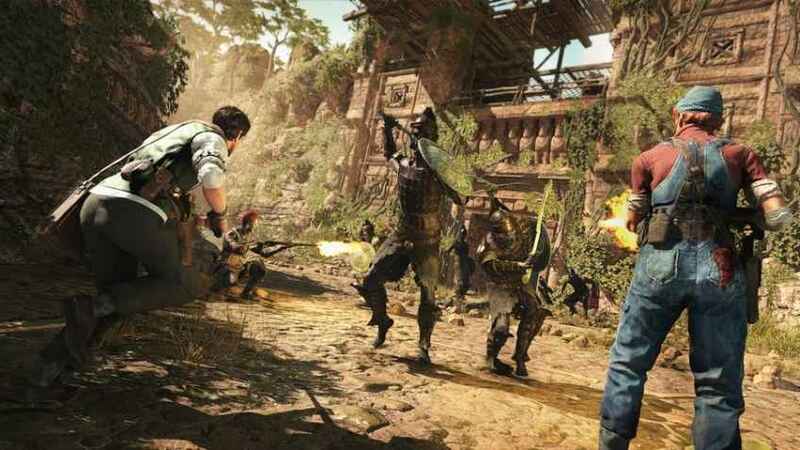 The Strange Brigade team adventures across Egypt’s tombs, pyramids, and caves fighting off enemies and solving puzzles. The game isn’t trying to reinvent the wheel, puzzles and combat feel simplistic and familiar which isn’t necessarily a bad thing. Unfortunately combat is marred by a few issues that are super frustrating. For a game that finds your character dealing with hordes of mummies, skeletons, pirates and other undead things, forcing aim down sight shooting with the lack of hip fire was a bit of a misstep. However that’s not the worst combat issue plaguing Strange Brigade. Often an enemy is taken down by shooting a small blue illuminated area that requires precision aim, which is almost impossible due to a wonky aim assist issue that seems to steer your shots away from the intended target. Picking up ammo and health vials are equally as temperamental as shooting. Interactions with objects are carried out by holding down the square button which is often met with un-responsiveness, not an ideal situation during intense battles. 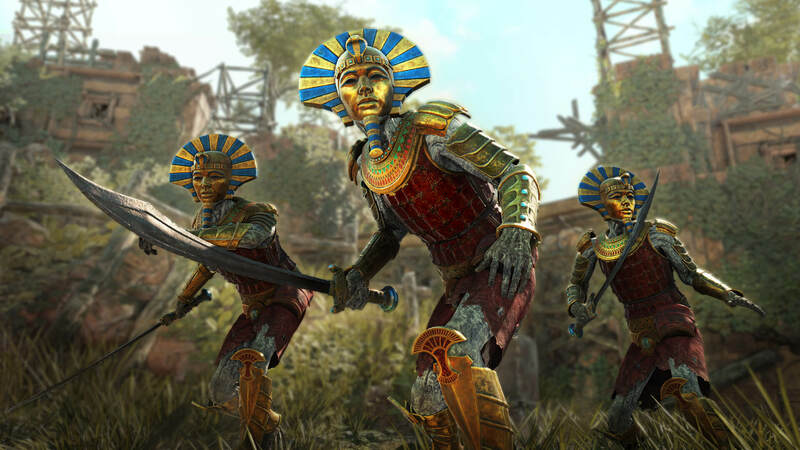 The enemies of Strange Brigade are a varied mix of ancient Egyptian mythological creatures that range from simplistic skeletons to ninja mummies. There are several traps that you can activate to help take them out, but be careful, you can just as easily harm yourself with them if you set them off at the wrong time. For those of you who enjoy in-game treasure hunting, Strange Brigade has many hidden relics and pages for you to find. I had good intentions of seeking out the loot but as always I got wrapped up in the action and missed more than I collected. Despite its quirks, Strange Brigade is still a fun and charming game that can hopefully be fixed with a future patch. One other thing that should be addressed and improved is the unfortunate text size and font that makes reading diary entries and other useful information an eye strain. The graphics and level design are more than adequate for the game’s budget and size of the development team. The colors are bright and the art style adds a certain charm that doesn’t rival God Of War, but still paints a lovely picture of 1930’s Egypt. A few frame rate issues appeared at various times in the game that is optimized for the PS4 Pro but for the most part it runs fairly smooth. A lackluster soundtrack is made up for by the excellent voice acting, especially that of the narrator who is full of British charm and snark. The game is intentionally campy to pay homage to classic creature feature movies but still manages to be less cheesy than Tom Cruise’s Mummy movie. Strange Brigade doesn’t take itself seriously and you shouldn’t either. It’s not perfect but it’s fun, and sometimes that’s more than enough. Before you get lost in the late summer and fall blockbuster games coming out, give Strange Brigade a shot. 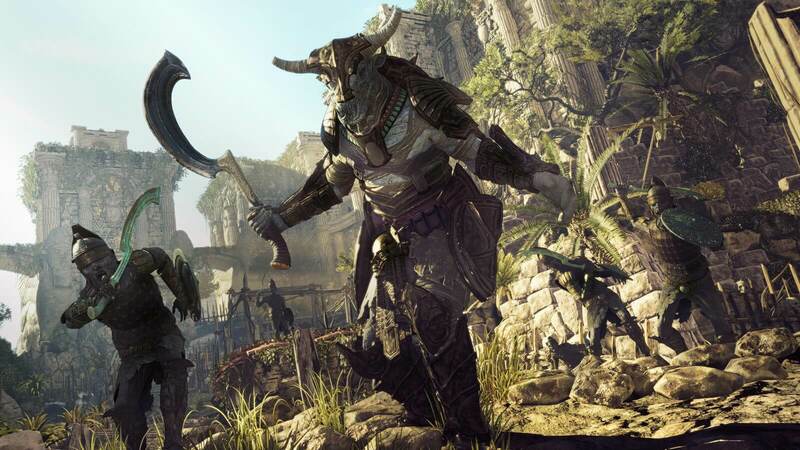 Check out our Strange Brigade tips. Strange Brigade is a flawed but entertaining game that I’d gladly up the final score to an 8.5 or even 9 if some of its problems are fixed in a future patch.